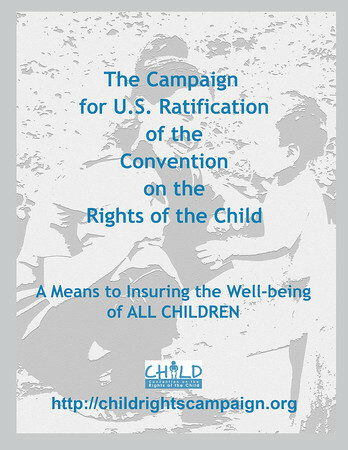 Poster for the Campaign, still to be ratified by U.S. government, one of only two U.N. members. not to ratify. This is a Human Rights issue concerning many citizens of the U.S. who see children as a priority and care about their future.